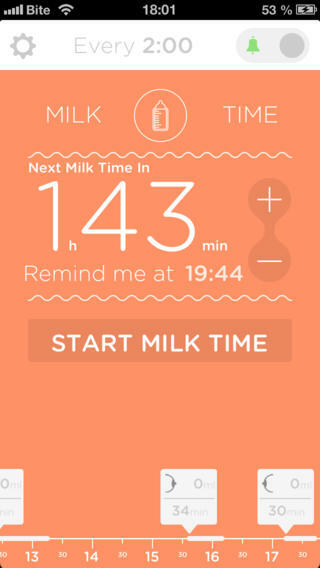 Milk Time: a simple but handy application that tracks your baby feeding time, duration, frequency, and amount. It has customizable reminders and keeps full track of your baby feeding sessions. 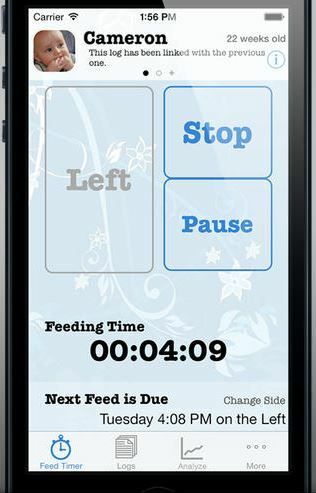 iBaby Feed Timer: this application is designed for breastfeeding and nursing moms who want to track when and how long their baby feeds. You can personalize the app, log breast feeding sessions, sync your data, and keep track of details. Ins & Outs: an activity tracker for your baby. 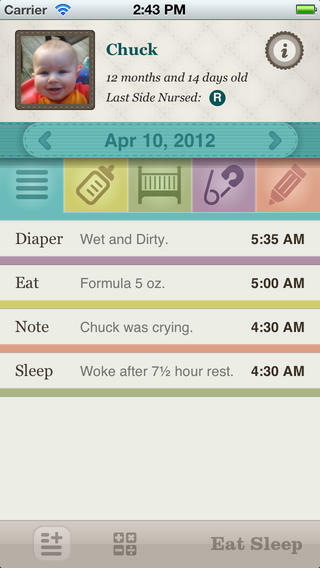 You can track bottle feeding, diaper changes, sleep/awake time, notes, and everything else. Baby Connect: one of the best baby apps around. 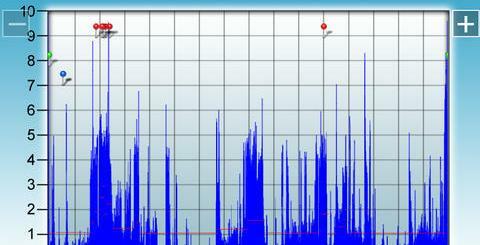 It lets you track pumping and expressed milk. You can sync your data across your devices. 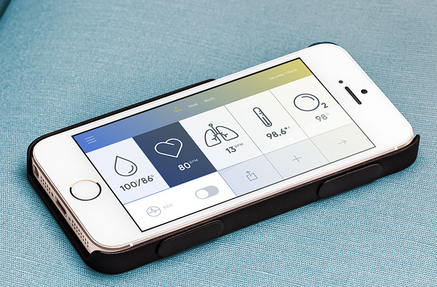 The timer tracks naps, activities, and more. 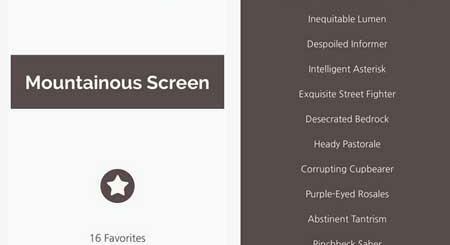 The app even prepares reports for you. 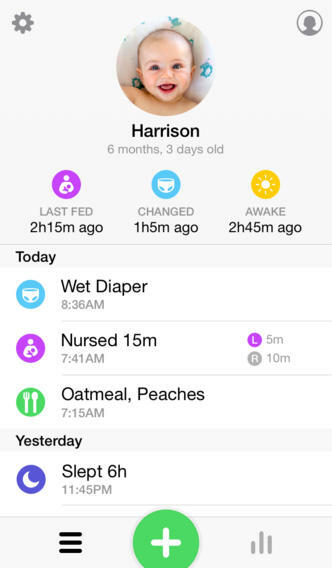 Eat Sleep: another free application that tracks your baby’s eating, sleeping, and diaper habits. It may not have tons of bells and whistles but does include the features you need to track your baby’s feeding sessions. It looks quite decent too. You really don’t need all these apps to feed your baby on time every day. 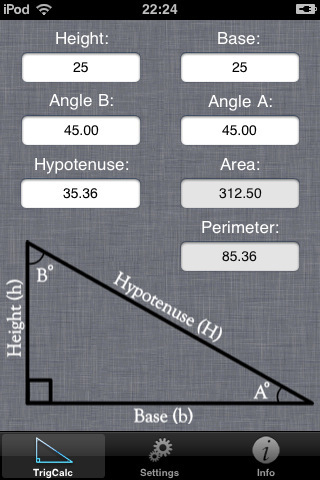 But it is always nice to have multiple options just in case your favorite app goes away. 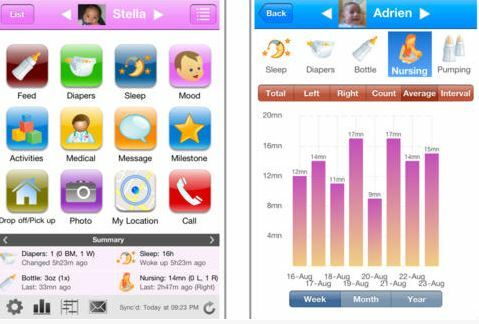 Have you found better baby tracking apps for iPhone? Please share them here.